Help Emma save her Uncle's house and re-decorate it! -Unlimited Game: Unlimited levels which spans around 15 gorgeous scenes! -Achievements: 9 challenging achievements for you to pursue! -Extra Content: Play 4 different quick-session Hidden Object games! 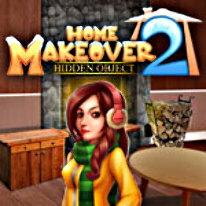 -Decorate: Help Emma save her uncle's house and at the same time, earn money from jumble sale to re-decorate the living room! -Postcard: When you are pleased with your brand new living room, you can take a snapshot and send it as a postcard to your friends!